1. Look for anything that says Trust or Trustee on it in their paperwork. Gather up whatever financial records are available to you. If in those records you see the word trust, or trustee, then your parents probably had a trust when they died. You’ll need to have the trustee distribute their estate according to the terms of the trust. If you don’t see anything like that, there may not be a trust. One other place to check is the deed to their home. If you find a deed that shows the house was titled into a trust, then there probably is a trust. 2. You’ll need to search to see if your parents had a will. Most people keep their wills either in their home or in a safety deposit box at their local bank. Wherever it is, you must find the will so it can be submitted to the probate court. Look among their important papers. If mom and dad kept their important papers in a drawer in the kitchen, don’t forget to check there. 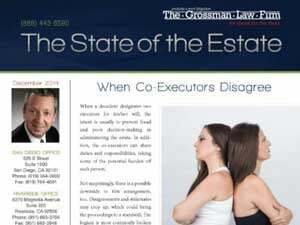 If you don’t find either a trust or will, then you will probably have to do a probate. Some assets like bank accounts and life insurance policies may have a beneficiary designation. This designation will avoid the need for probate. However, if there is no beneficiary designation then you’ll have to do a probate. By completing probate you will get those assets transferred to the heirs. 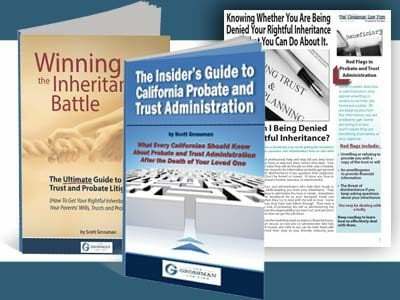 In California, if the estate is not valued at over $150,000 then you may not have to do any type of probate. However, if there is something titled in their name, like a house or bank account you may have to do some form of probate to change the ownership of those items. We are here to help you through this rough period. Please do not hesitate to call us at 951-683-3704 or chat or contact us if you find yourself in need of help to know what the next step is. 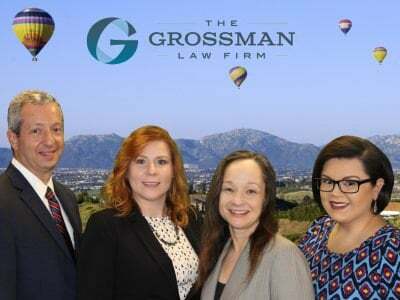 We also have a few books written by attorney Scott Grossman to help you understand what you need to do legally during this difficult time.